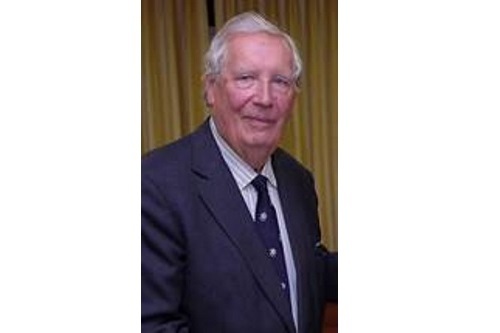 It is with regret that the Club has to announce the death of Life Member Douglas Graham on 23 March at the age of 85 after a short illness. Douglas, who was invariably known as Doug in his racing days, joined the Club in 1960. Douglas started racing in 1956 at Mallory Park with a Mk 6 Lotus-Climax which gave way to a Lotus Eleven the following year. In 1958, with the support of Innes Ireland, Douglas started to race overseas, finishing second at Denmark’s Roskildering. For 1959 Innes encouraged Douglas to replace the Eleven with a Lotus-Climax Type 15, bearing the registration number 100 MDG, with which he enjoyed very good results over the next four years including second places in the Grand Prix des Frontieres at Chimay and the Elaintarhanajo Djurgardsloppet in Helsinki in addition to being a familiar sight and consistent front runner in sports car races in the UK. By 1962 the Fifteen, which has subsequently been raced for many years by Robert Brooks in historic events, had become outclassed by the next generation of mid-engined sports-racing cars and, although Douglas occasionally shared Chris Martyn’s Elva Mk VII in 1963, he retired at the end of that year to concentrate on his Wolverhampton-based newspaper publishing business including the Express & Star and Shropshire Star. Douglas succeeded his father as chairman of the parent Claverley Group in 1993. For many years he was Deputy Lieutenant of Shropshire. The Club offers its condolences to Douglas’s wife of 35 years, Sara, and his stepsons James and Colin. There will be a service of celebration of his life at St. Peter’s Collegiate Church, Lich Gate, Queen Square, Wolverhampton at 11.30 am on Monday, 13th April.